Ten recommendations for making ST3 even better. The new Capitol Hill and Husky Stadium light rail extensions and the recent Metro restructures represent huge, exciting transit milestones for our city. ULink has seen incredible ridership in its operation just shy of two weeks, and today, many commuters in Seattle are getting on new feeder bus routes that didn’t exist last week. But as the confetti is swept up, the oversized ribbon cutting scissors are put away, and folks get used to their new commutes, we are setting our sights on our next investment that will go before voters in November. We are both huge fans of the draft Sound Transit 3 plan—for many reasons. Overall, this plan brings an incredible system expansion of not only light rail, but also rapid bus transit and Sounder commuter trains—a region-wide expansion addressing needs as our urban population and business centers continue to grow as well. One of the most important projects in the ST3 plan is a second downtown tunnel for light rail; high ridership on the current lines and projected ridership on future lines to West Seattle and Ballard necessitate this new tunnel capacity which could double our current capacity and ultimately carry several hundred thousand people per day. 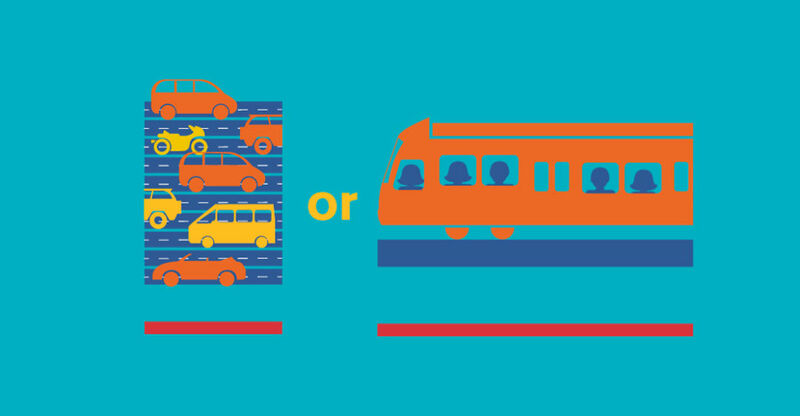 If passed and built, our system will achieve the size of BART in the Bay Area and Metro in DC. The building of light rail and a new tunnel will take time, and that is why this plan includes substantial near-term mobility improvements providing Seattleites relief in their commutes in the near future while we plan and construct the next phases of light rail. This draft not only provides a vision for a great public transportation system, but a system that will provide more macro-level benefits for generations to come. For example, ST3 will generate thousands of good family-wage, union jobs aligning with our region’s track record of supporting and building out the middle class. Second, with the crisis of climate change staring us in the face and transportation identified as the main source of our state’s greenhouse gas emission, building out more public transit represents one of the most effective things we can do to combat climate change. And third, the extension of our light rail directly correlates to the level of access to opportunities we can provide; transportation is one of the highest household costs and studies continue to identify access to public transportation as one of the most successful tools to help lift people onto the next rung of the economic ladder. With all the incredible benefits ST3 will provide, there are still certain areas that still need our attention. For example, we need to look at funds earmarked for parking and increase funding for bike, pedestrian, and transit access. Knowing that some parking will be necessary, let’s work with existing private parking garages to prevent us from building duplicative parking infrastructure, and to free funding we can direct towards improving access. Let’s charge for parking and use those funds to help increase bus, bike, and transit connections to stations. And let’s integrate paid parking with ORCA so that we can ensure our park and rides are being used by our riders and make sure that ORCA LIFT users aren’t charged twice for parking and riding. As we continue to refine the plan over the next three months, community engagement is key. Sound Transit staff and the Board welcome feedback from folks via public meetings and the current online survey at www.soundtransit3.org. But we also want to make sure that we are staffing up non-profit community based organizations to assist in the outreach necessary to hear the feedback of non-English speaking communities and communities of color. Many of these individuals may not have the access to our existing public comment opportunities, but their voices need to be heard to ensure this investment reflects the needs of all users. Sound Transit is here and growing. Let’s make sure we do this right. Sound Transit board member Rob Johnson is a fifth-generation Seattleite. He is a Seattle city council member from Northeast Seattle’s District Four and chairs the city council’s land use committee. Sound Transit board member Joe McDermott is chair of the King County council. He represents District Eight on the King County council which includes West Seattle, Burien, and North Highline.